The warranty is set by Ford, not the DP. I know its been part of Ford's promotional activities to display the Raptor's capabilities, but I wonder how many people forking out 80k are going to willingly subject their new pickup truck to abusive behavior like "jumping". Similar to a Range Rover being supremely capable off road but never subjected to such work because it would scratch the paint of the owners new 200k car. advertising under controlled conditions and going rank in the wild with no back up support. Last edited by jpd80; 12-09-2018 at 09:43 PM. It will be interesting to hear from those that get them if its warranty has such a rider. Prospective buyers would be wise to clarify this and perhaps get anything said to the contrary in writing before taking delivery. No need, one can argue "fit for purpose". Ford have no business denying warranty if someone avails themselves to the 'performance' this vehicle is based on. The ACCC wouldn't have an issue taking on Ford, I believe they're quite successful. The Powershift drama is just one example. Go ahead, buy one, do jumps in it. It's what it's been marketed on and built for. off-road obstacle. A 32.5° approach angle, 24° departure angle, and 24° break-over angle help you tackle harsh gradients, and class-leading 850mm water wading makes light work of epic river crossings.3. Ranger Raptor’s suspension system was calibrated to tackle tough terrain. Standard 2.5-inch FOX Racing Shocks deliver 30% more wheel travel compared to Ranger. steel is designed to absorb the impact from almost any off-road event. Foxx Shocks will have a life expectancy on them in kilometres, just like the F150 Raptors do, so at the service time they will be added to the service cost. If they fail before that time it will be a warranty claim. When are they actually available? Have any actually hit dealers yet? This suggests they are available already. My neighbour rolled home in one a few nights ago and it looks mint!!!!! It's official. Should have found this earlier. "If you've been following our coverage of the Ford Ranger Raptor, you may notice a familiar theme – it does jumps. But, don't expect to be covered by the warranty if you break it. "Ross explained that while it's capable of this type of driving, Ford wouldn't warrant any vehicles that were clearly abusing the vehicle in this way beyond its regular use. "What we've done is, if you're an experienced driver and you're driving at your limit off road .. we've made sure that it can take that kind of abuse. But we can't warrant it for [excessive stunts]." Seems clear enough but the point is, it is possible if something breaks when driving at your limit then you could be on your own as Ford will determine if in their opinion it was as a result of excessive stunts, which could have a very wide interpretation !!!. Note some of the readers comments below. Well duh. Exactly as I said earlier, if you push it too hard and break it it's on you. Nothing is indestructable. Stupid things like trying to jump it 20 metres in the air. Not driving over corragations like you implied could be enough to break it. Which is just a dumb thing to say. No manufacturer of any type of vehicle is going to cover warranty if the vehicle has been abused. Do you think Ford are going to give owners a free for all ticket to just go nuts and they will happily fix anything they break? of the advertising stunts, you'll always see the ground is sloped to soften the landing. So if you want to be the Ford version of Thelma and Louise, go right ahead but don't expect warranty. Dealer embargo is lifted on the 17th of this month. Dealers should start getting stock after this date. Some dealers already got one or two by accident. Metro Ford in Brisbane has one for anyone who is keen to drive. Thats right, so why would the DP's thoughts matter? What you're suggesting is that because the Raptor costs 3 times as much as a dodgy Focus the DP will get more assistance from Ford if and when something breaks. And im saying that Ford might as well give no warranty on Fiesta then because they are even cheaper. All 3 cars are sold with comprehensive warranties which must comply with consumer law but apparently the more you spend the better chance you have of getting a sympathetic ear. I wouldn't call that sympathetic, i'd call it pathetic to be fair. an issue that ford has struggled with and really only has a partial cure. and easily fixed / expedited with the assistance of a DP greasing the wheels..
or obvious indications of abuse that would not normally be covered by warranty. The ACCC will not help you in this situation as you're outside of any reasonable claim. others probably have similar stories. Last edited by jpd80; 13-09-2018 at 09:38 PM. So let's cut to the chase, are you a potential buyer, I know I'm not as a Wildtrak is as far as I'd go. 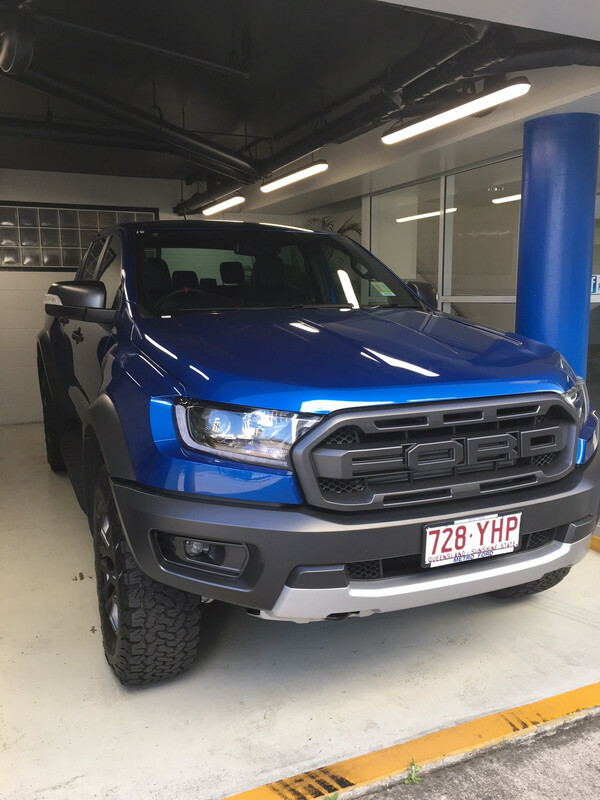 You can buy the Ranger Raptor and drive to it's limits and be covered by a factory warranty and have no other factory built vehicle available from any Australian importer that can match it off road. Or you can buy your own (insert model) and modify it to as far as you want, jump as much and as high as you want and have no factory warranty from anyone..it's that easy. I'm not A Ranger buyer, so have no interest in whether the RR is a piece of poo or god's gift to mankind, however I did see a review yesterday in the Herald Sun. If you’re not going off-road, buy an Amarok V6 and save yourself up to $20,000. If you are, and you want the best standard production off-road one-tonner on the market, this is it. The ultimate bush truck. Full article here, for anyone interested. It appears that there are a few people on here that aren't very observant. Have a look around at the cars people buy and how they use them. Sometimes (often), logic doesn't even enter the equation. People are free to choose whichever vehicle they like. Whether there is other vehicles that will do the task they require, better, doesn't seem to matter. If someone buys a raptor, and it never sees dirt, good luck to them. Their money, their choice. No law against it and they bought the car they wanted. Just wondering why its called a 2018 model if it's not available until next week, seems late in the year for a release. Where is your spy picture of the neighbours car ? I'm starting to believe this is some kind of mythical vehicle that apart from promo prototypes doesn't exist. Last edited by roKWiz; 14-09-2018 at 12:42 PM. [QUOTE=roKWiz;6189183][QUOTE=Smoke Pursuit;6188832]Dealer embargo is lifted on the 17th of this month. Dealers should start getting stock after this date. Its called a MY19 actually, as per the rest of the PXIII Range. As for the neighbour yes I have a photo but its very dark and you can hardly see it. If you dont believe me go to Metro Ford Brisbane and take a look. If you go to Metro FORD in Brisbane you can see it, that would be better than a photo i think. so, is it officially PX3 or are people guessing? dealer embargo is for base Ranger I think, Raptor was released a while ago and Everest a couple of weeks back. Well I looked over Metro Brisbane's website and didn't find anything in stock apart from Rangers. Little blurb on the raptor I've seen elsewhere. Hey, Gumboot did you take a picture of the car ?? The crackdown on utes/4x4's in QLD has made something like the ranger more relevant. Modifying these vehicles gets harder with more saftey features (ESC etc) so having something that is 100% legal is a obvious huge plus...and a better starting point. There is a lot of emphasis of the desert running capabilities of the RR, yet I look at it as a vehicle that could get through some of the back wood terrain in some of the hunting areas I have gone. We have had to park Jeep CJs in "Gods country" and hike on foot a few days at a time, where some extra suspension travel would have gotten us a lot further along. To me, the RR looks like the solution for that. The F150 Raptor is too big to get through some of those areas. It's not abuse if it's driven in the same way it's marketed. Plain and simple. Exactly. No different to buying a fpv and just doodling around using a tenth of its performance. Which you see all the time.